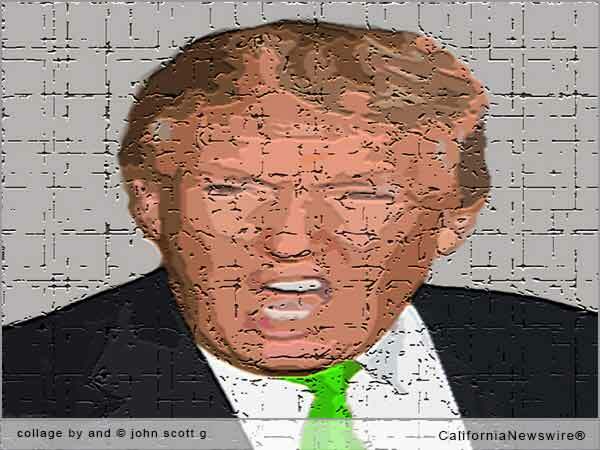 Home Articles: Political Opinion Opinion: Trump Translated – what is the actual meaning of his word-salad rants? Donald Trump, current leader of the Know-Nothing Party, can be described in five words: extremely loud and dangerously gross. When he speaks, phrases are strung together in ways that sometimes resemble English sentences. But what is the actual meaning of his word-salad rants? Is it possible to run a major political campaign using undefined slogans, unconstitutional proposals, and bigoted rhetoric? For a conservative, apparently, yes! 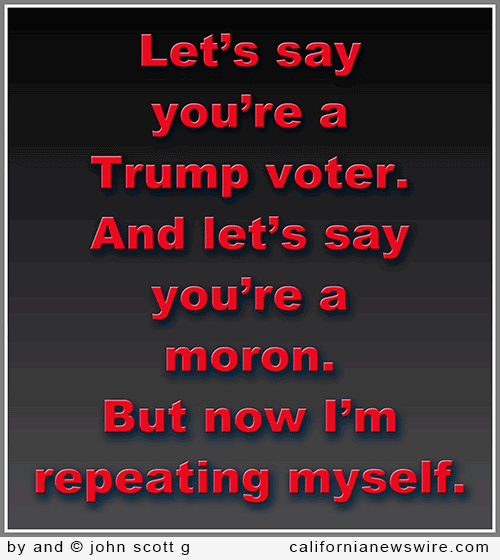 That’s what has happened in the Party of Stupid as they have kowtowed to the malignant misshapen mass of bile known as Donald J. Trump, the blubbery reality TV star and holder of both sides of most issues. What, exactly, does Trump mean when he pops off with one ridiculous statement after another? We’re here to help with some translations from Trumpspeak into English.